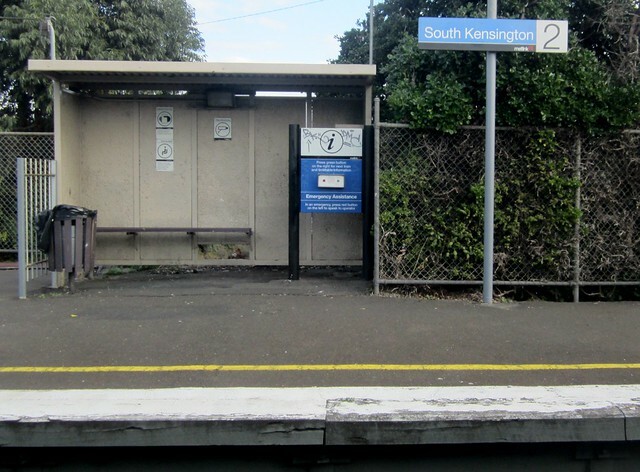 PT Problem of the Day: South Kensington – Melbourne’s ugliest station? If there were a prize for ugliest station, South Kensington in Melbourne’s growing inner-west would have to be the favourite. No staff, waiting room, no toilets. No public phone, no bike racks or cages, little amenity, just a few small shelters and benches. It’s hard to imagine a more unwelcoming place to wait for a train, yet around 1500 people per day use it. Surely they deserve better? Agree? Disagree? Leave a comment on our Facebook page.